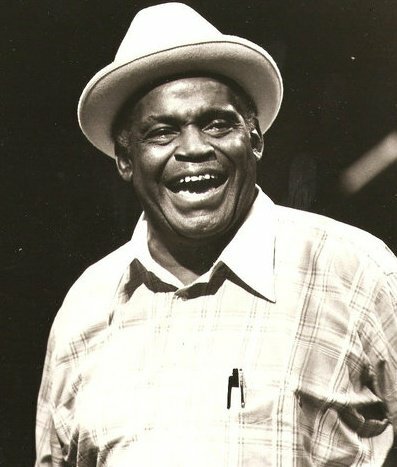 William James “Willie” Dixon (July 1, 1915 – January 29, 1992) was an American blues musician, vocalist, songwriter, arranger and record producer. A Grammy Award winner who was proficient on both the upright bass and the guitar and as a vocalist, Dixon is perhaps best known as one of the most prolific songwriters of his time. He is recognized as one of the founders of the Chicago blues sound. Dixon’s songs have been recorded by countless musicians in many genres as well as by various ensembles in which he participated. A short list of the man’s most famous compositions includes “Little Red Rooster”, “Hoochie Coochie Man”, “Evil”, “Spoonful”, “Back Door Man”, “I Just Want to Make Love to You”, “I Ain’t Superstitious”, “My Babe”, “Wang Dang Doodle”, and “Bring It On Home”. These tunes were written during the peak of Chess Records, 1950–1965, and performed by Muddy Waters, Howlin’ Wolf, and Little Walter, influencing a worldwide generation of musicians. Next to Muddy Waters, he was the most influential person in shaping the post World War II sound of the Chicago blues. 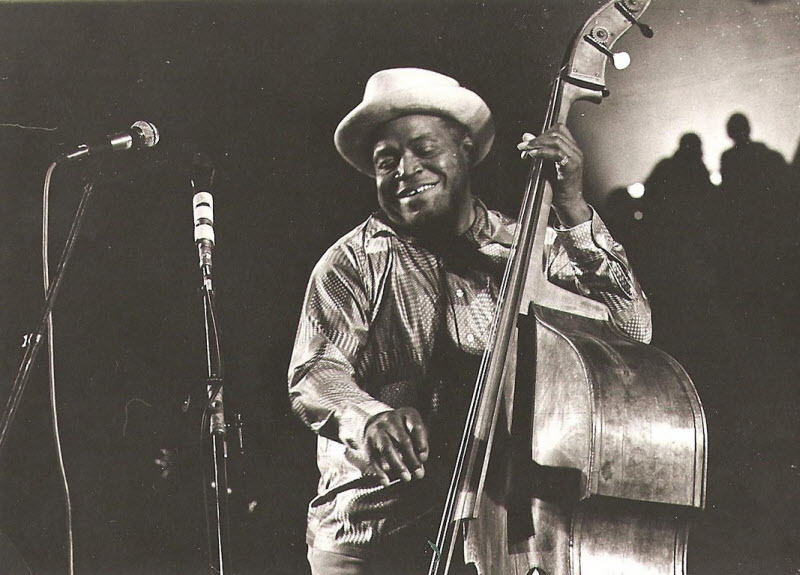 Willie Dixon’s life and work was virtually an embodiment of the progress of the blues, from an accidental creation of the descendants of freed slaves to a recognized and vital part of America’s musical heritage. That Dixon was one of the first professional blues songwriters to benefit in a serious, material way — and that he had to fight to do it — from his work also made him an important symbol of the injustice that still informs the music industry, even at the end of the 20th century. A producer, songwriter, bassist, and singer, he helped Muddy Waters, Howlin’ Wolf, Little Walter, and others find their most commercially successful voices. This was the most unusual, and probably the most difficult to assemble of MCA’s Chess Box series, mostly because of the unusual nature of Willie Dixon’s contribution to Chess Records. 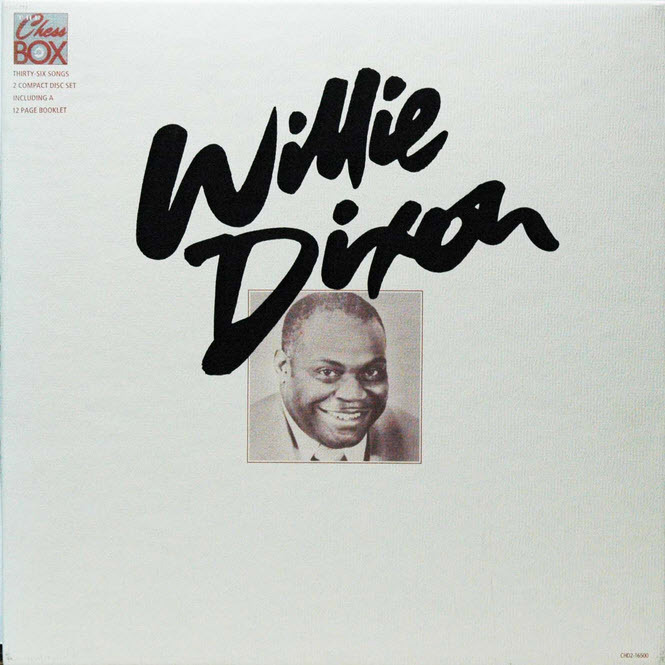 To be sure, Dixon rates a place in the history of the label right alongside that of Muddy Waters, Howlin’ Wolf, and Little Walter, but his role was more subtle than that of a performer (indeed, two of the half-dozen recordings here that feature Dixon as a singer were previously unreleased). So he is all over this two-CD set, as a songwriter, producer, and bassist, and occasionally as a singer as well, but the unifying element are the Dixon songs, and he is the only blues songwriter to be honored by a major label with a retrospective of this type.